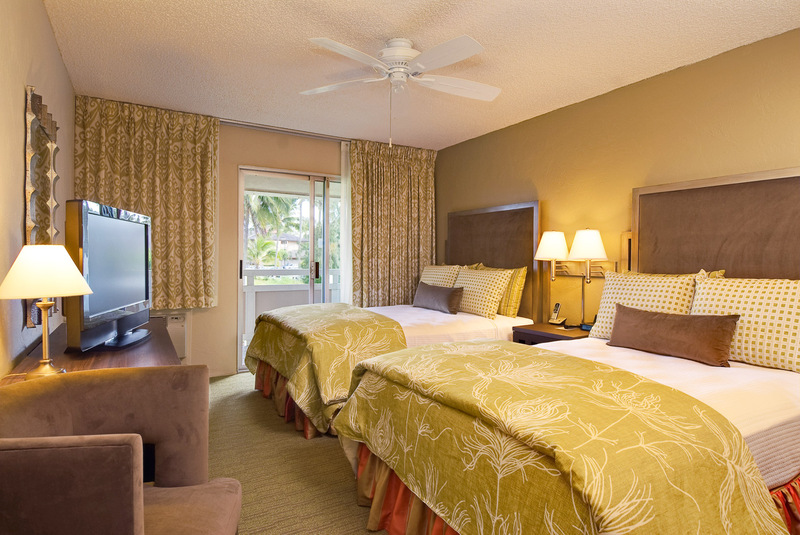 Experience a little extra for a lot less on your next trip to Kauai when you stay in one of our spacious suites. Each boasting a large bedroom with separate living room, full dine-in kitchen, and master bath with locally handmade Hawaiian products. The spacious living room includes a large flat screen TV with cozy couches and sliding doors leading out to your very own private lanai. 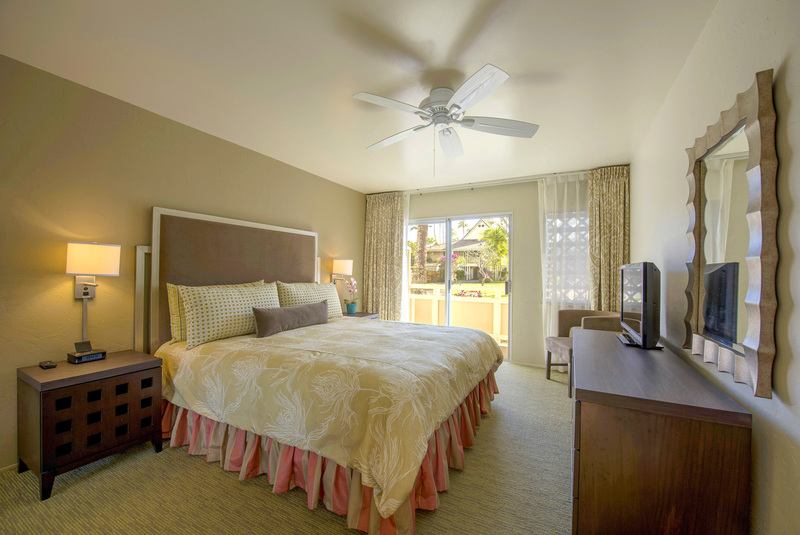 All suites are air-conditioned and have ceiling fans, should you choose to bring the tranquil trade winds inside. 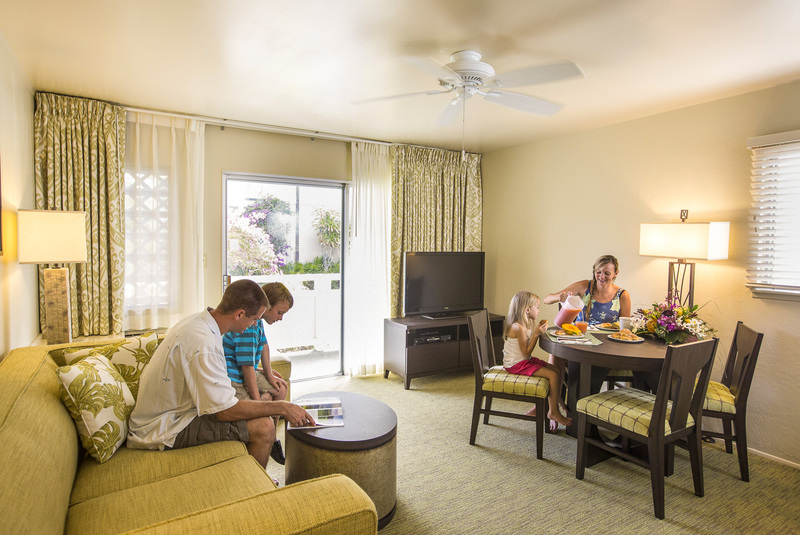 To keep you in touch with loved ones on the mainland, high-speed wireless Internet is available in each suite. The sun is shining through the balcony doors of your One Bedroom Suite and a gentle breeze beckons you to step outside. It's a perfect day to lounge on your private lanai, stake a spot by the pool or embark on an island exploration after a restful night's sleep. 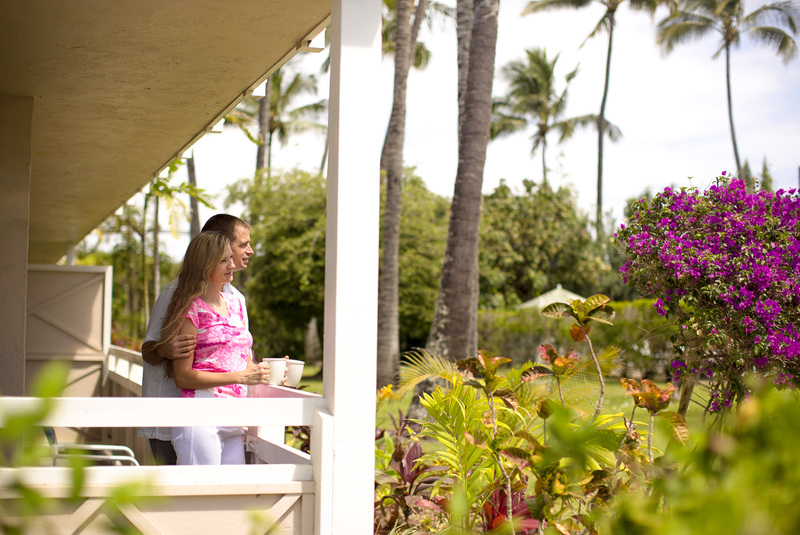 Awaken to bright bunches of red ginger, ti leaf plants and plumeria blooming just outside your suite. Start each morning on your private lanai being greeted by tropical birds of paradise and plentiful palm trees swaying in the cool Kauai breeze. Enjoy majestic mountain views from the privacy of your personal balcony in a One Bedroom Mountain View Suite. Or dine al fresco in the lanai, overlooking the spectacular settings after preparing a home cooked meal in your full-service kitchen. Rise and shine ready to take a dip in one of our three sparkling pools on the premises. Scope them out from the balcony of your One Bedroom Pool View Suite, spray on some sunscreen and head out the door for another day of fun in the sun.